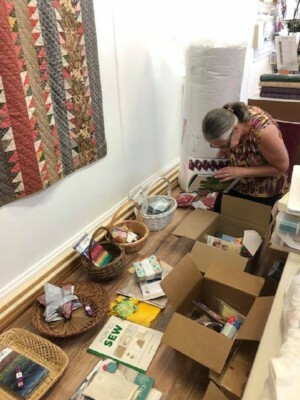 We are working hard to make our new location just right for you, our fellow quilt enthusiasts. 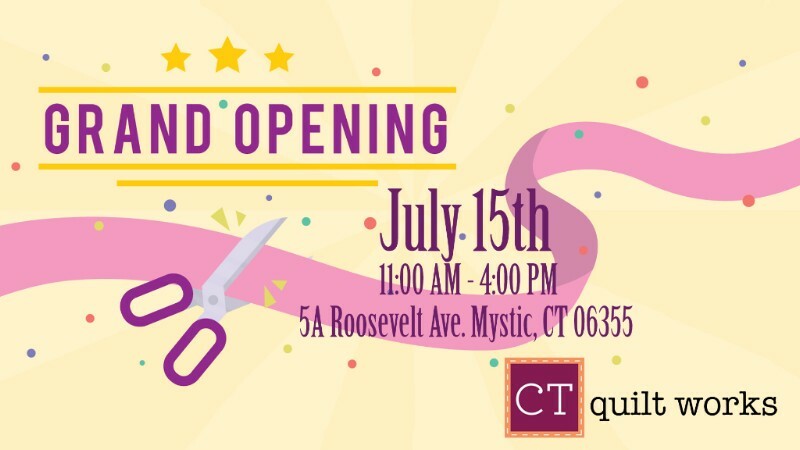 Join us as we celebrate the grand opening of our In-Town location. 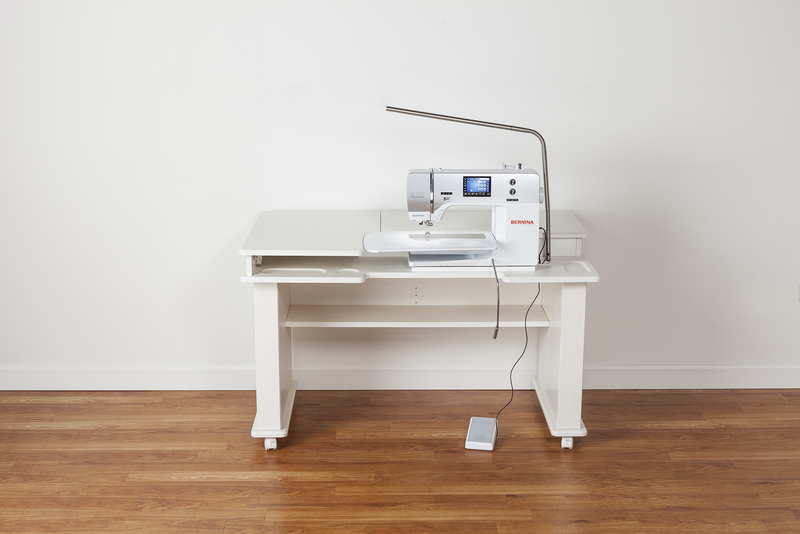 Browse the newest Bernina sewing machines, and the latest Fall and Christmas Collections. Our fabric and notions companies have supported our opening by providing merchandise for our loyal customers. The staff is busy making goodie-bags and basket raffles for the Grand Opening Celebration! 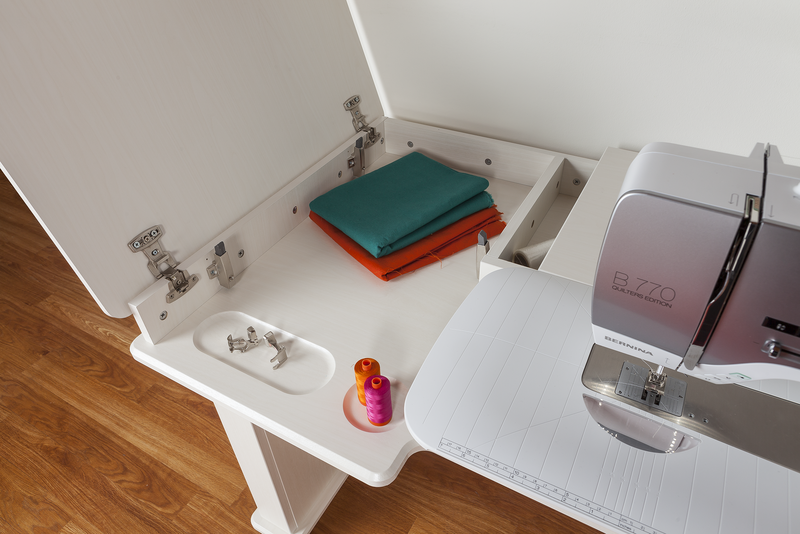 During our Grand Opening Celebration receive this free Cabinet with purchase of a Bernina 5-Series Sewing Machine. Take advantage of our expanded sewing space. Join us Monday anytime between 10:30 AM and 4 PM. A teacher is available for questions and help. English Paper Piecing has come a long way since the hexagon! 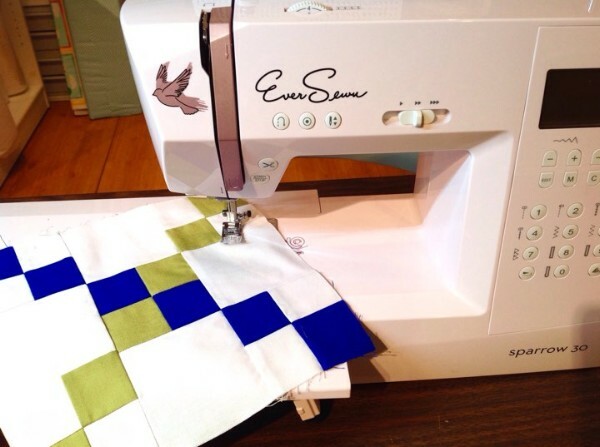 Those of you EPP-ers come, sit a spell and stitch on your current project. Catch up on the latest news in the EPP world. If you are curious about the techniques, join us. We can demonstrate the basic skills and tools to get you started on your first project. All levels are welcome. Build your applique skills in this ongoing workshop. Work on your current project or join the group project. Each session includes one-on-one instruction, how-to demos along with kits for beginners. 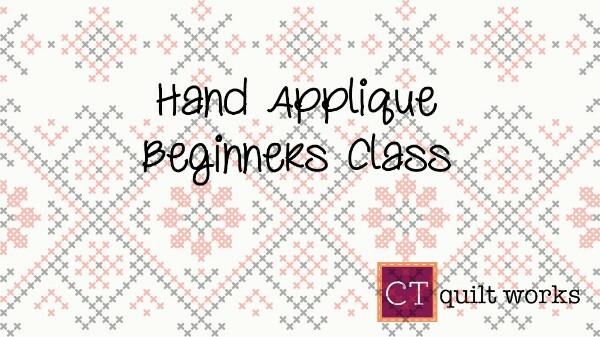 If you are new to quilting or have not quilted in a while and want to brush up your skills this class is for you. 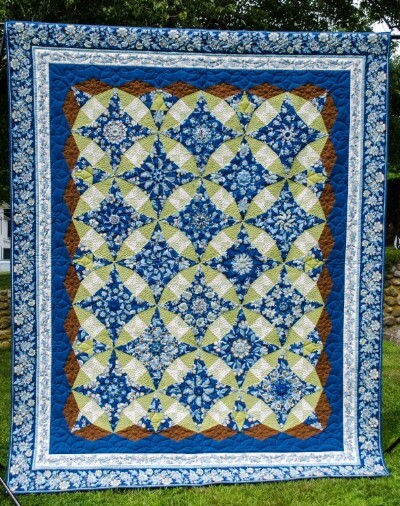 In five weeks, learn to cut and machine piece different quilt blocks, stitch the quilt top together, baste, quilt, and bind the quilt. Class Fee: $45.00 plus materials. What's the best way to spend a Friday morning? 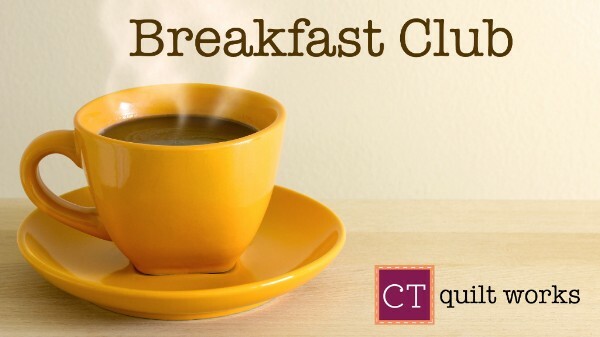 Come to Breakfast Club, of course! Catch up on a new technique, tool, or pattern while enjoying a cup of coffee and a treat. Our "Pattern Posse" can pick up their new block! 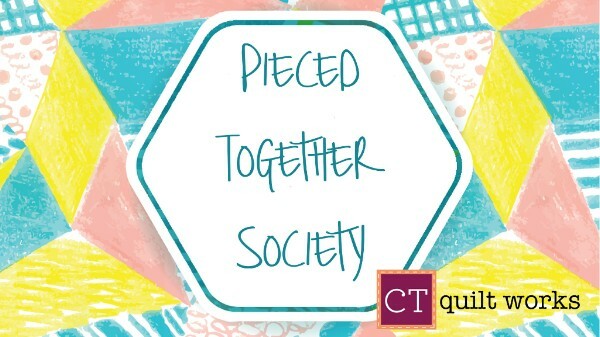 "Quilts All Around The Town"
The Clamshell Quilt Guild 2018 Quilt Show will be held at the Connecticut College Student Center in New London, CT. The guest speaker will be Gyleen Fitzgerald. There will be a 'Trash To Treasures' workshop on Saturday, with a lecture and trunk show on Sunday. Enjoy basket drawings, demos, mystery grab bag, and buy tickets to win the raffle quilt. Tickets are $10.00 for one day, $15.00 for both days.